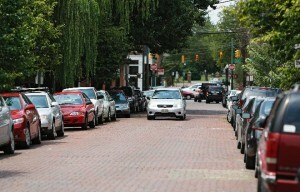 A request for permit parking on parts of West 4th Avenue and Perry Street will be voted on at the March 19, 2014 Harrison West Society meeting. This amended request calls for permit parking Monday through Friday from 8 a.m. until 4 p.m. with nonpermit parking restricted to three hours on West 4th between Perry and Michigan Avenue and on the east side of Perry between West 3rd and West 5th Avenues. The original request from the permit petitioner, Jamee Zucal, sought permit-only parking Monday through Friday from 8 a.m. until 4 p.m. on West 4th between Perry and Michigan and on both sides of Perry between West 3rd and West 5th. The society originally voted on the permit parking application in October 2013 and agreed to write a letter to Randy Bowman, Mobility Operations Director with the Columbus Department of Public Service and to the Transportation and Pedestrian Commission asking them to delay action on the application until all other options had been investigated. With encouragement from the Transportation and Pedestrian Commission, the society officers, representatives from the city and the petitioners met with representatives from Ohio State University and from the construction company about whose employees many complaints had been voiced. At the meeting, the OSU and construction company representatives indicated that construction to the new medical center may be winding down, but neighbors from Harrison West pointed out that additional parking overflow issues beyond those related to the current construction will continue to impact the neighborhood well into the future. 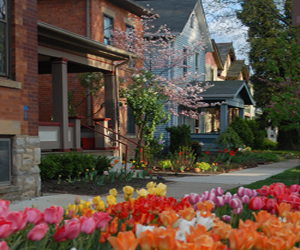 On January 8, 2014, Kristen Easterday, Harrison West Society President, led a special neighborhood meeting to reach a consensus solution that would address the concerns of all parties. The vote on March 19, 2014 seeks to formalize the consensus agreement that was reached at the January meeting.